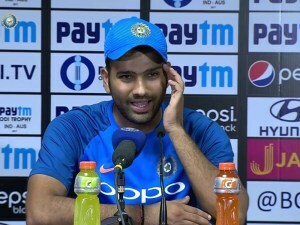 Hamilton: Stand-in captain Rohit Sharma Thursday described India’s batting performance as “one of the worst in a long time” after the visitors were shot out for their seventh lowest ODI total in a shocking eight-wicket loss to New Zealand in the fourth one-dayer here. In the absence of talismanic skipper Virat Kohli, who has been rested after the side claimed an unbeatable 3-0 lead in the five-match series, India’s much-vaunted batting was dismissed for 92 in 30.5 overs here with pacer Trent Boult (5/21) bowling a deadly opening spell. “We didn’t expect the surface to behave like this. Nice to restrict them to a 90-odd total. It stood up a little bit and nipped a bit. It spun as well. One of those days, things went well,” he said. Terming his bowlers’ effort as “outstanding”, Williamson said their plan always was to dismantle India’s batting unit with swing.